Dark blessings and greetings to all you lost souls who have stumbled here through the darkness. Some people have said I live in a world of my own. Now you have the chance to wander through it. Lucky, lucky you! This is one of those boring, ego-trip pages people do about themselves. But hey, nothing wrong with a bit of self indulgence every now and then....I think. Hello. My name is Shred. Although some people call me by other names. (Some people call me many things but we won't go into that right now....). At present I have long, blond hair that is currently dyed green, green eyes, a nose ring and a tongue stud. I am currently 34yrs old and also currently what some people call a freak (not a bloody hippy! ), but I prefer to think of myself as a Dark Alternative (although a Grim Alternative is probably more accurate). I was a student at Portsmouth University. I studied Computer Science (dull and no I am not a geek! - he says with his own internet page....no comment). I was there for three years until I dropped out. Since then I worked for 10 months as a software developer but have now finished and moved out of home. Now working for SSE and currently bumming around looking for acting work. 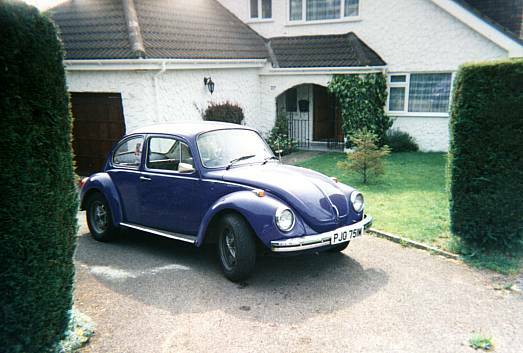 I can drive and I did own a purple VW beetle (Typical student car) until someone smashed into it. I had intended to paint bats on it one day. I also play guitar and own a black fender strat. Hobbies....hmmm.....Well I don't actually have any as such. I don't collect anything, I detest all sports and I don't do up old cars or such like. What I normally do is just hang-out. Being able to just chill and hang-out is a major talent and one which I feel I have perfected. I just do the normal teenage things. Listen to music, watch Home And Away, see friends and listen to music some more. Sometimes I do all three at once! Wild huh? I really enjoy going to festivals as well. Actually I basically live for them. So far I have been to The Phoenix Festival (1996), Glastonbury (1997,1998,1999,2000,2002 and 2003), Reading Festival (1996,1997,1998,1999,2000,2001,2002,2003,2004,2005,2006,2007,2008,2009,2010,2011,2012 & 2013), The Big Day Out (1999), Download Festival (2004, 2005, 2006 and 2013), Slam Dunk (2011, 2012, 2013 & 2014), WOMAD Festival (2006), Hyde Park Calling (2007), Isle Of Wight Festival (2008), Firegathering (2009), Rhythm Festival (2010), Sonisphere (2010), Guilfest (2011), Vans Warped Tour (2013), The Mighty Boosh Festival (2008), Game On, and V2001. I highly recommend trying it. Carrying a tent miles to spend four days or so in the mud/rain/too hot sun/grass, etc. just to see some bands you don't like that much anyway and to hang out with a load of people you are probably never going to see again does sound a bit strange. But believe me it is great! To find out infomation on this year's Glastonbury festival go to The Official Site. As for pretention...well I'll leave that for others to decide. I used to be in a band when I was 15, way back in 1995. It was called Cynicism. I sung lead and backing vocals and played guitar. We played a few places including two mini-festivals in the local area: Smurfstock and Smurffstock 2(sic). We also played a Nirvana tribute at a local pub marking the first anniversary of Kurt Cobain's death. Not only was the pub packed, but we got a really good review in a county-wide newspaper.During the gig the ceiling fan got broken by crowd-surfers. (Not bad seeing as it was a pub!). As for what music do I like to listen to, well I like a wide range of music. Mainly though I like Alt. Rock, Punk, Grunge, Goth, Rock, Post-Rock and Metal. I also like eighties music and some indie music is ok (but definitely not Oasis!). Basically anything with guitars in (except The Prodigy who are awful!). I also like : Mono, Mountain Men Anonymous, AFI, Miss Black America, The Kinks, Mesh, Sisters Of Mercy, Offspring, Bright Eyes, Scarling, I Am Ghost, Rush, Black Sabbath, Moist, The Tragically Hip, Nine Inch Nails, Foo Fighters, Imperial Teen, Smashing Pumpkins, PIL, Therapy?, Vast, Terrorvision, The Lemonheads, Soul Asylum, Adam And The Ants, The Dogs D'Amour, The Cure, Aerosmith, Suede, Korn, Andrew W.K., Pschycedelic Furs, Blue Oyster CultJoy Division, Nymphs, REM, Moist, China Drum, The Damned, 3 Colours Red, Guns 'N' Roses, Veruca Salt, X-Ray Specs, Regurgitator, Everclear, Screaming Trees, Rob Zombie, Kristin Hersh and many more to boot. Not to mention the odd song by bands I don't listen to. Like "A Long December" by Counting Crows, or "Enjoy The Silence" by Depeche Mode. I have four main groups of friends. My friends back home, my friends from Uni, my friends from Portsmouth and my friends from festivals. My friends back home and from festivals are pretty much like me. My friends from Uni are like me but lazier (well they are/were students). My friends from Portsmouth are like me only weirder (or not). That's right I have, at times, embarked upon a career in the poncy world of acting. However my career so far is not exactly amazing. BBC's Glastonbury Coverage 1997, 1998 and 1999. Standing in the background during a Nickelodean broadcast. Extra in Pie In The Sky You can see the back of my head in part of it as I play the part of a schoolboy in episode - Cut The Mustard. Mojo (1997)- My finest piece of extra work to date. A really poor film with a really poor title. It also starred Ewan Bremner (Spud from Trainspotting) Aidan Gillan (Stuart from Queer As Folk) and Ricky Tomlinson (The dad in The Royle Family). Apart from hanging out in the background at a night club scene there is one point where my friend Lucy and I walk blatently past the camera. The real star of the show though is my hair. As the film was set in the 1950's and I refused to cut my hair as I was growing it, they had to put it into a v.large 60's style quiff. You wouldn't believe the sheer number of hairpins I kept finding still hidden in it whilst on the buses home from the studio! Oh in case anyone wonders what "Kiss My Pegs" is about, you'll have to watch Mojo!